Continuing my posts from my Speyside trip in June 2016. I hoped to get to Glendronach and Glenfarclas on the last day but didn't have time in the end. So I did the tour at Glendronach and went to The Whisky Shop Dufftown. 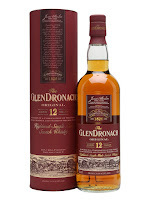 Glendronach is a super traditional distillery. I hadn't realised fully. Floor maltings until 1996, cast iron traditional mash tun, wooden washbacks and the stills were direct fired until 1996ish I think as well. Do correct me if I'm wrong. Nice tour (I was the only one on it too) but I was driving, so had to take my 12yo away in a bottle. However, I did bottle my own from the distillery cask. A 2004 Sherry Puncheon. Little on the expensive side at £84 but hopefully worth it. After that I went into Dufftown where the whisky shop has a big selection (600) and you can try just about anything! Again though, driving. So I bought the 18yo Smokehead at £92 which is pretty good these days (I've seen it at £130). I also asked if I could take a small sample of their exclusive Glenfarclas family cask, which they very kindly let me. 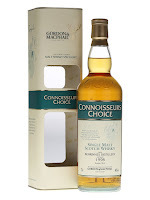 After all that I thought I might as well head back to Gordon & MacPhail and try even more whisky! Nose: Beautiful. Oily, chocolate, malt, orange, honey, mulled wine. Taste: Lovely, soft, honey, crystallised honey, building spice, fresh ginger. Wine-y into the finish. Finish: Medium length. Very fruity with red wine hints. Water: Chocolate, chocolate orange, dark chocolate sauce, oily malt, some lemon. Taste: Intense, ripe fruit, oak, great structure, orange, blood orange, balance. Water: Still intense, orange, soot, wine-y, oily, spicy, long. Little harsh into the finish. Finish: Long. Intense, orange, Ash. 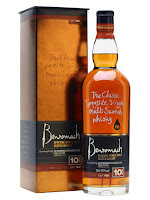 Nose: Spiced, nutty, malt, old style fruitiness, orange and cherry. Taste: Full and spicy. Cherries, orange, really fresh then growing spiciness and oak. Finish: Medium. Harsh finish with oak and tannins. Notes: Bottled 2015 at 17 years old from refill sherry hogsheads. Too oaky into the finish. Nose: Reminds me of the Madeira cask. New rubber, pomegranate, liquorice, soot, new car, bad sulphur. Weird. Taste: Pomegranate, liquorice, aniseed, mint, new rubber, some weird sulphury, burnt rubber. Nope. Very weird. Finish: Medium. Creamy and spicy with some ash but still a little weirdly rubbery. Notes: Unknown batch. Nope, nope, nope. Was really looking forward to trying this. Bad batch? UPDATE: Now tried the 2016 release and it was fantastic, so I think this must have been a bad batch of a previous edition. Nose: Lovely restrained sherry, red apple, orange peel, toffee, raisin, light herbal and earthy notes. Taste: Soft, fruity and spicy. Red apple, orange, ginger (a little harsh), fragrant oak, lightly floral. Finish: Medium length. Earthy with oak. Notes: Very almost on par with Macallan 12. 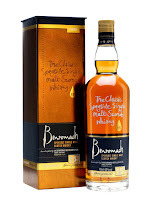 Nose: Sherry, quite oily, orange, oak, light raisin, sticky toffee pudding, toffee. Nice balance. Taste: Soft fruity arrival, lightly floral, orange, orange blossom, light oak, light raisin, then going towards chocolate and coffee. It's all quite understated. Finish: Long length. Sweet and fruity then more oaky with chocolate and coffee. Notes: Wasn't expecting this to be so understated, I was expecting a sherry bomb. Don't have a pic of the next one but link is here. 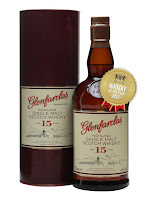 The Family Cask series from Glenfarclas is pretty impressive with the various vintages and casks, but they are not cheap. In fact, this is a great deal at £200 compared to the rest. 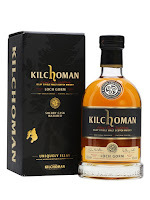 Nose: Deep, intense, oaky, huge sherry, amazing chocolate and coffee, incense, sandalwood, freshly sawn oak, prune, dried fig, orange, spice, cinnamon bark, natural liquorice, slightly earthy. Taste: Intense, huge sherry, raisin, prune, fig, date, orange, really fruity, lovely tannins and oak, then recedes with creamy coffee, dark chocolate and juicy raisin. Finish: Medium/Long length. Great coffee, dark chocolate and dried fruit. Notes: Bottled 2014 at 22 years. Cask #5691. Didn't have a chance to try it with water.